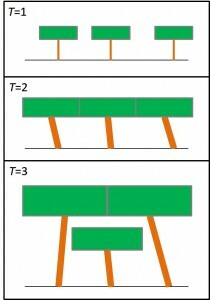 After a large tree falls, many small individuals are able to grow due to an increase in available sunlight (T=1). 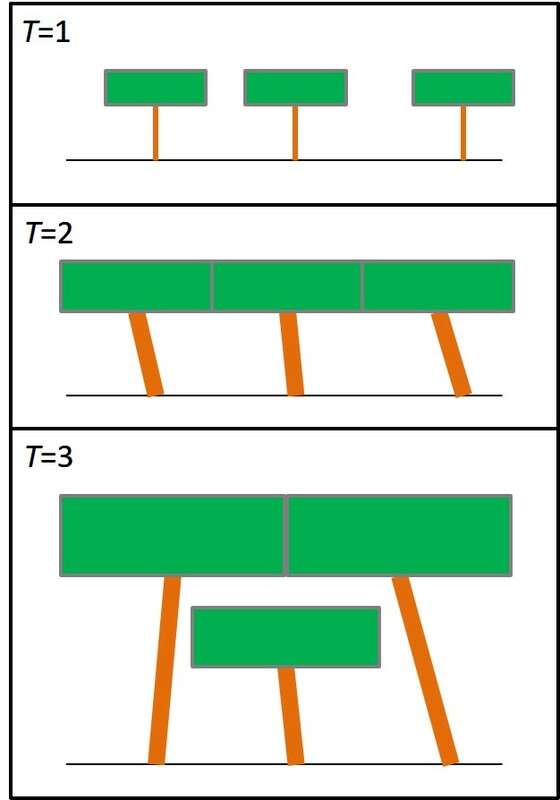 Once they have grown to touch one another (T=2), they begin to overtop one another and leave individuals behind in the understory (T=3). Image courtesy of Caroline Farrior. The researchers found that the rainforest structure stems from what happens after a tall tree falls and creates a gap in the canopy. The gap enables sunlight to reach the forest floor and fuel the rapid growth of small trees. Over time, the trees’ crowns grow to fill the gap until the point where not all of the trees can fit in the sunlit patch. Some will be left behind in the shade of their competitors. 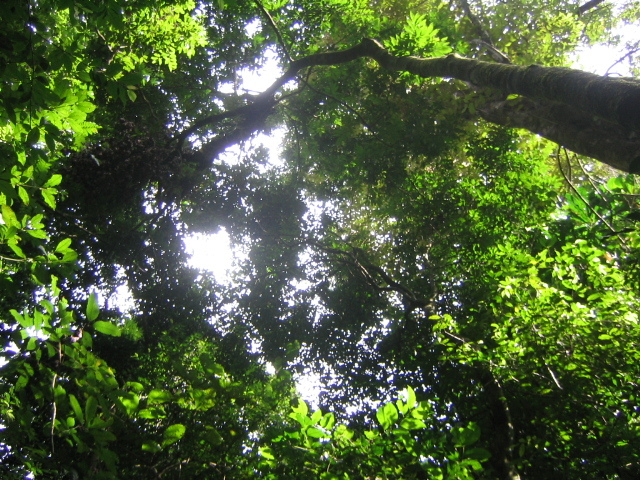 “This process of moving from fast growth in the sun to slow growth in the shade sets up this characteristic size structure that is common across tropical rainforests, despite the differences in their environments,” said Caroline Farrior, first author of the study who is a postdoctoral fellow at the National Institute for Mathematical and Biological Synthesis and will soon be an assistant professor of integrative biology at the University of Texas-Austin. Farrior, who earned her Ph.D. in ecology and evolutionary biology from Princeton University in 2012, completed most of the work as a postdoctoral researcher in the Princeton Environmental Institute with co-author Stephen Pacala, Princeton’s Frederick D. Petrie Professor in Ecology and Evolutionary Biology. “With this new understanding of tropical forests, we can go on to build better models, we can make more accurate estimates of the carbon storage that’s currently in tropical forests, and we can go on to more accurately predict the pace of climate change in the future,” Farrior said. The study was supported by Princeton’s Carbon Mitigation Initiative and the National Institute for Mathematical and Biological Synthesis (NSF grant no. DBI-1300426) at the University of Tennessee-Knoxville. The Barro Colorado Island forest dynamics research project was founded by Stephen Hubbell, Robin Foster and Richard Condit of STRI. The study, “Dominance of the suppressed: Power-law size structure in tropical forests,” by Caroline Farrior, Stephanie Bohlman, Stephen Hubbell and Stephen Pacala, appeared in the journal Science on Jan. 8, 2016.